This is a very snazzy looking duck. Based upon my previous attempts to identify wildlife I’m just going to classify this one as ‘happy’. Wood Duck (Aix sponsa)! They stand out, don’t they. I didn’t, it was in Hong Kong. 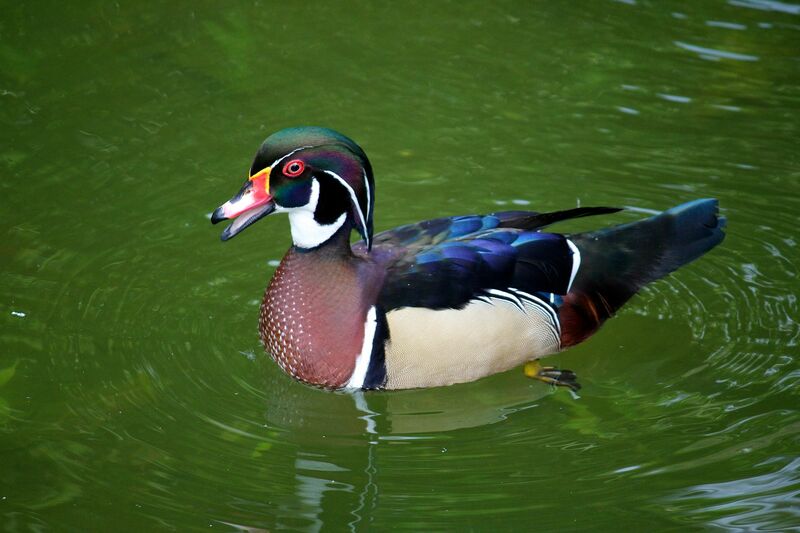 Wood duck is such an ordinary name for such a colourful bird!